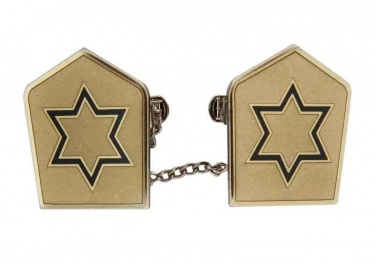 Silver toned Tallit clips with Navy Jewish Star on them. Great for keeping your Tallit on securely. Makes a great gift for anyone being called to the Torah. Measures 1 1/4"W X 1 1/2"L.
Jewish Bride & More, Inc.